The focus of my Scrumptious Saturday posts thus far have been mostly on food of Chinese origin because that’s what I eat most of on a daily basis. However, living in Malaysia where we have cultural dan racial diversity, our food too is culturally diverse. I love my spicy food and I’m always on the look out for a good Malay food stall or an Indian restaurant. Today, I’d like to introduce you to the Mamak “Nasi Kandar”. 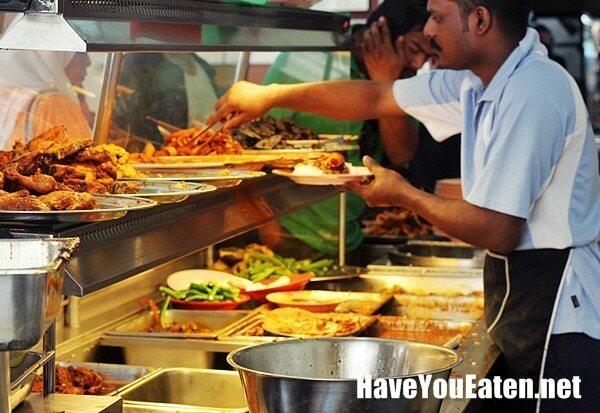 Mamak are Malaysian people of Tamil-Muslim descent and the food is usually similar to the Indian style with liberal use of spices and curries in their cooking. “Nasi Kandar” lit. “Rice balanced on a pole” originates from the days when hawkers would carry their wares in large pots on a pole which they balance on their shoulders. What Nasi Kandar really is, is steamed white rice with a variety of foods and curries. I didn’t eat anything interesting this week so I decided to take you on a short little walk through the area we in Kuala Lumpur call Chinatown. 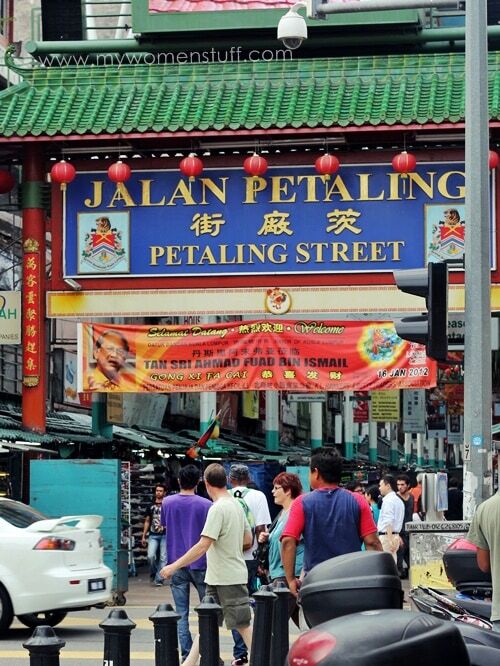 Its also known affectionately as Petaling Street because that’s where its located; and used to be where the Chinese traders would set up shop. 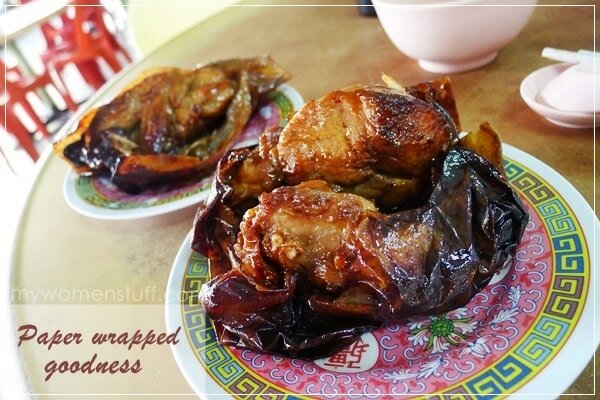 Some of the good food around KL originated here. These days, things are a little different down there, but it is still an interesting place to walk about in. Scrumptious Saturday Vol. 7 : As easy as A-B-C! This is what we call A-B-C soup. Not very sure why, but tell anyone ABC Soup and they’ll probably know what you’re talking about. 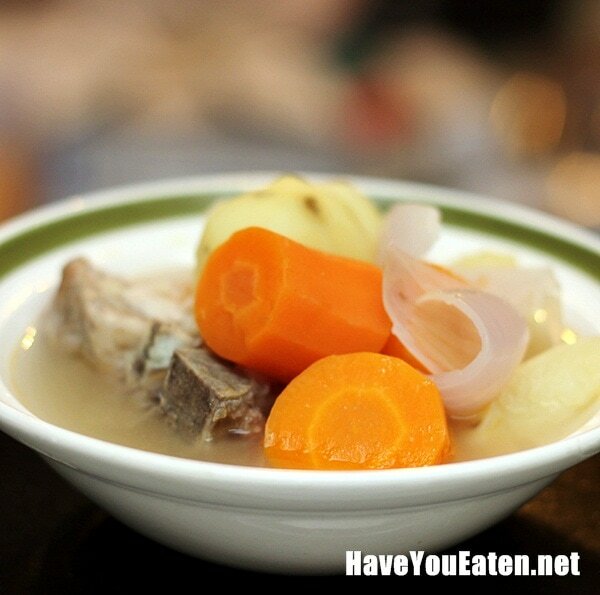 I love this for its simplicity, taste and because some days just call for soup!